Peter Mulcahy joined Kim & Bae’s Litigation team as Senior Of-Counsel in February of 2019. Currently residing in Pennsylvania, he is a native New Yorker, who has also lived in California and Colorado and has visited nearly all fifty of the United States at on time or another. Mr. Mulcahy has been a practicing attorney for well over twenty years. 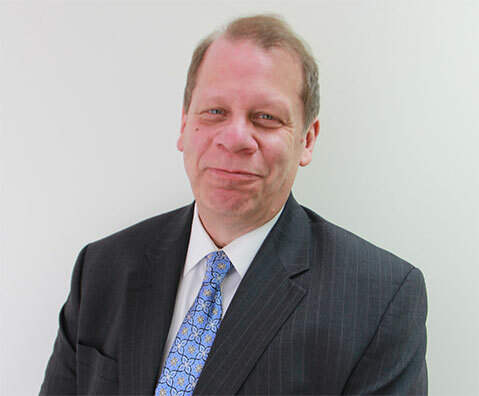 He began his career doing civil litigation in New York City, before moving to Philadelphia, Pennsylvania and establishing himself in the creditor’s rights litigation market there. He has since served as Senior In-House Counsel for the largest non-bank mortgage servicing company in the United States and recently was General In-House Counsel for a multi-million-dollar real estate funding company in New York. Mr. Mulcahy is a well-versed and highly successful litigation strategist. He has extensive experience in contract management, including drafting reviewing and negotiating. He is adept in regulatory compliance matters and in-house corporate compliance issues. His broad experience also covers such financial services legal genres as real estate, commercial and consumer mortgages, tax, insurance, and licensing subjects. But above all, Mr. Mulcahy is a true Bankruptcy Law expert. He is widely respected by fellow attorneys, bankruptcy trustees, United States Trustees and Federal Judges for his legal acumen and understanding of the Bankruptcy Code. On numerous occasions, Mr. Mulcahy has been invited to be a “faculty” member and/or speaker at various bankruptcy seminars, conferences, continuing legal education programs and other events across the country. He is also very experienced working with international partners as a liaison, educator and reliable contact.